The US has given Pakistan time until July to capture Taliban supremo, Mullah Muhammad Omar and Operations Chief of the Haqqani Network, Sirajuddin Haqqani and has warned of military offensive in North Waziristan if the two are not captured. Besides the two, the list also includes al Qaeda’s new chief, Ayman al Zawahiri and the Libyan Operations Chief of al Qaeda, Atiyah Abad Al Rahman. This warning was reportedly given by Secretary of State, Hillary Clinton and Chairman of US Joint Chief of Staff, Admiral Mike Mullen during a visit to Pakistan last month. Admiral Mullen, when asked about the possibility of Pakistan launching an Operation in North Waziristan said it was critical to go after the militants in the region for the Afghan war to succeed; but he refused to discuss specific plans for the offensive. The Haqqanis belong to Zadran tribe, which are mostly based in Paktia and Khost provinces of Eastern Afghanistan. However, their support base has always been in the FATA’s Northern Waziristan, where they run a number of Madrassas and training camps but operate mainly in South-Eastern Afghanistan, and provinces further North towards Kabul. The dreaded network is reportedly preparing for alternative safe haven for itself in Kurram Agency. Pakistan army holds the Haqqani Network, like the Taliban, as its reserve asset for the endgame in Afghanistan. The Haqqanis belong to Zadran tribe, which are mostly based in Paktia and Khost provinces in the Eastern Afghanistan. Their support base has always been in the FATA’s Northern Waziristan, where they run a number of Madrassas and training camps but operate mainly in South-Eastern Afghanistan or ‘Loya Paktia’ and provinces further North towards Kabul. The Network’s patriarch, Jalaluddin Haqqani is believed to be influenced by radical Islamist principles drawn from the early Muslim Brotherhood in Egypt, which were prevalent among many of the religiously-motivated Afghan mujahedeen of that time. Jalaluddin Haqqani has been a militia leader for three decades and he received money and weapons from the US during the war against the Soviets. The US and the Coalition Forces describe the Haqqani Network as the most dangerous threat to Afghan security. Haqqani’s connection with the ISI dates back to the times of the anti-Soviet Jihad. In fact, US Intelligence believes that Islamabad maintained relationship with Taliban-associated groups, which support and conduct operations against US and ISAF Forces in Afghanistan. According to a report, Pak Army Chief, Gen. Ashfaq Pervez Kayani was heard referring to the Haqqanis as a ‘strategic asset’. Malt Waldman, a Senior Fellow at the Carr Center for Human Rights Policy at the Kennedy School of Government, Harvard University, claims that Haqqanis are getting financial aid from two sources; Gulf countries – especially Saudi Arabia, that is accessed through the Saudi Bank; and from the ISI, which is accessed from the Islamic Bank of Pakistan, in which the Haqqani Network has a representative. The report is corroborated by The Times (London-May 31, 2010) that said over $920 million had flowed from Saudi Arabian donors to Afghan insurgents, mainly via Waziristan, over the last four years. Jalaluddin Haqqani also frequently travelled to the Gulf Arab states, where he is highly respected and has key contacts from the times of anti-Soviet Jihad. The Haqqanis established a close relationship with Osama bin Laden in the 1980s and it is not a coincidence that the first camp that bin Laden created in Afghanistan – Lion’s Den and some related infrastructure – were in Haqqani’s territory. Writing in the Long War Journal, its Managing Editor, Bill Roggio claimed that Haqqani Network is known to shelter Islamic Movement of Uzbekistan (IMU) commanders and fighters. Both the Haqqani Network and IMU are closely allied with al Qaeda and carry out Joint Operation with the terror groups. 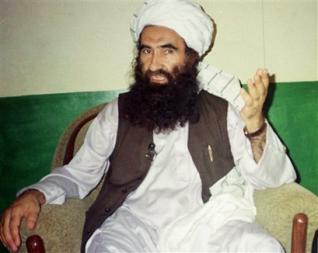 And both Sirajuddin Haqqani and Abu Usman Adil, the leader of IMU sit on al Qaeda’s Shura Majlis or Executive Council. There are many factions in the Taliban – both in Afghanistan and Pakistan. While all are (were) loosely associated with al Qaeda, they did not always obey it. In 2007, when al Qaeda declared that its ‘Enemy Number One’ was no longer the US but Pakistan, only two factions of the Taliban, both Pakistanis – Baitullah Mehsud in South Waziristan and Maulana Fazlullah in Swat – responded to that call. The move was condemned by all the factions of the Afghan Taliban, including the Haqqani group. According to another related report in the Washington Post, the Haqqani fighters cooperate with the Taliban but “not fully support” Mullah Omar and sometimes extract toll from Taliban fighters, who transit through their territory. They slip into Afghanistan along the mountain passes and historic trade routes, including several border crossings used by hundreds of cargo trucks each day. These militants generally fight in Afghanistan for a break of several months. When in Afghanistan, these militants move from village to village, never spending more than one night in the same house. Haqqanis are alleged by Afghan and American Intelligence officials to have been behind the recent simultaneous attacks on government buildings in Kabul, a suicide attack on Indian Embassy on July 7, 2009, assassination attempt on President Hamid Karzai in April 2008 and were behind the kidnapping of New York Times reporter, David S. Rohde, who escaped in 2009 after seven months in captivity. They also showed their muscles by staging an attack on Khost city Provincial Governor’s compound, the Police Headquarters and administrative buildings in May 2009. An interesting thing about the Haqqanis is that about 150 of them are either killed or captured; but the group regenerates. The level of expertise in the Haqqani Network has helped the group strike targets far from its base. The UN added Haqqani’s name to its Watch List that equates to an “assets freeze, a travel ban and an arms embargo against this individual” across all the UN member states. Less famous than al Qaeda, the Haqqani Network, nevertheless, poses an intractable problem for the US forces, particularly as the focus on war shifts towards the border. The Haqqanis are reported to have about 4,000 fighters under their command. It is widely believed that militants linked to Haqqani Network are hostile to the US and NATO Forces in Afghanistan and not to the Pakistan security forces. And President Obama has announced draw down of American forces this month (July 2011). However, American officials say that deadly cross-border raids by Haqqani militants are fuelling the Taliban insurgency inside Afghanistan and threatening efforts to stabilize the country. Pakistan has denied these reports and said that it is unable to expand its Operations into North Waziristan because of shortage of manpower and military hardware. After an intense focus on fighting the Taliban last year, US Administration is in talks with Mullah Omer’s Deputy. At the same time, the US is reportedly trying to approach Ibrahim Haqqani, a brother of Jalaluddin Haqqani to test if he is also prepared for peace talk. Meanwhile, American Enterprise Institute has said in a report that the dreaded Haqqani Network has been preparing for alternative safe haven for itself in Kurram Agency following a tip off by the Pak Army or its Intelligence that Pak Army is preparing for an offensive. This is because it holds the Haqqani Network like the Taliban as its reserve asset for the endgame in Afghanistan. It is in this context CIA Chief Leon Panetta has warned Pakistan that American boots would be stationed there as long as the country could not be trusted. During his meeting with Pak Army Chief General Ashfaq Kayani and ISI chief Lt. Gen. Shuja Pasha in Islamabad (June 11), Panetta reportedly handed over satellite imagery showing two insurgent camps including the headquarters of Haqqani Network based in a girls school in Miranshah in North Waziristan. US, therefore, should see that Haqqanis are not able to establish a Pashtun dispensation, friendly to Pakistan; and instead, seek India’ help in reviving the Northern Alliance. But if the Haqqanis succeed in their mission, it will destabilize Afghanistan and result in another round of civil war. “If that happens”, says Syed Iqbal Hasnain of the Stimson Center at Washington, “it would signal the collapse of nearly 10 years of American efforts, costing hundreds of billions of dollars to bring peace to Afghanistan”. This entry was posted in AfPak region, ISI, News, Pakistan: Waziristan and tagged 'Loya Paktia', . Al Qaeda, a Senior Fellow at the Carr Center for Human Rights Policy, Admiral Mike Mullen, Afghan insurgents, al Qaeda's Shura Majlis or Executive Council, Atiyah Abad Al Rahman, Ayman al Zawahiri, Chairman of US Joint Chief of Staff, CIA Chief Leon Panetta, Eastern Afghanistan, FATA, Gen. Ashfaq Pervez Kayani, Gulf Arab states, Haqqani Network, Haqqanis, Harvard University, Hillary Clinton, ISI chief Lt. Gen. Shuja Pasha, Islamic Bank of Pakistan, Islamic Movement of Uzbekistan (IMU), Jalaluddin Haqqani, Kabul, Kennedy School of Government, Khost, Khurram agency, Madrassas, Malt Waldman, Mullah Muhammad Omar, Northern Waziristan, Operations Chief of the Haqqani Network, Osama bin Laden, Pak Army Chief, Pakistan, Paktia, Saudi Arabian donors, Secretary of State, Sirajuddin Haqqani, South-Eastern Afghanistan, Stimson Center, Syed Iqbal Hasnain, Taliban, USA, Zadran tribe. Bookmark the permalink.